Copper Radiators (clean) consist of clean automotive radiators, where all plastic, iron and foreign attachments have been removed. Copper Radiators (dirty) consist of copper automotive radiators, where ends are attached and can contain plastic, iron, and foreign attachments to an acceptable percent. Copper radiators are usually found in older model automobiles and have a high scrap metal value due to their copper material. Best value when cleaned by removing all steel and plastic attachments. 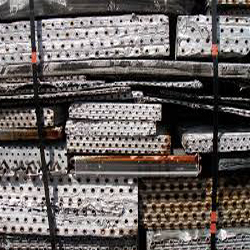 Copper Radiators are considered to be a valuable scrap material and can be sold to scrap yards and dealers at high prices, usually by the pound.